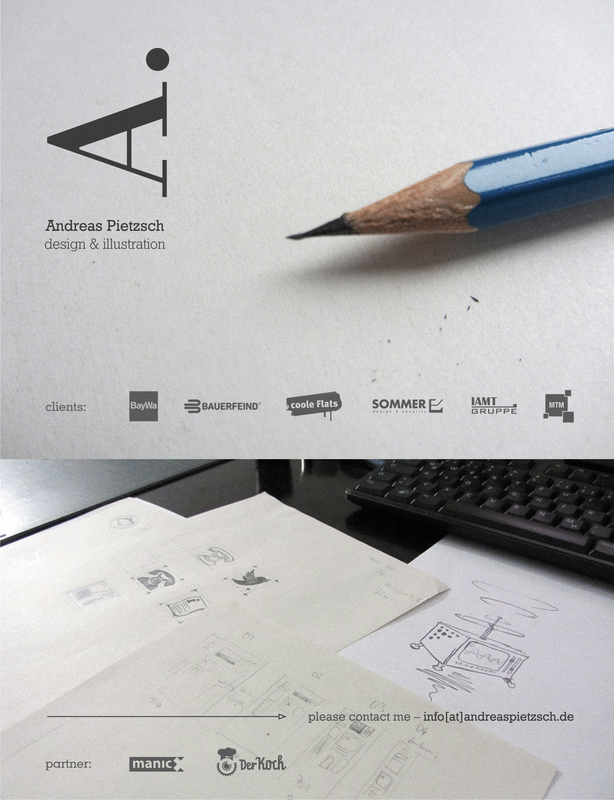 My name is Andreas Pietzsch. I have studied Industrial Design in Coburg and Dresden and graduated with a diploma in 2004. Since then I have been working on a wide variety of projects in the fields of industrial and graphic design, partly as an employee, partly as a freelancer. In 2012, I established my own office in Plauen, eastern Germany. My key activities include illustration, logo-design, icons and graphic concepts but I am able to realize almost any kind of project with our co-working network.